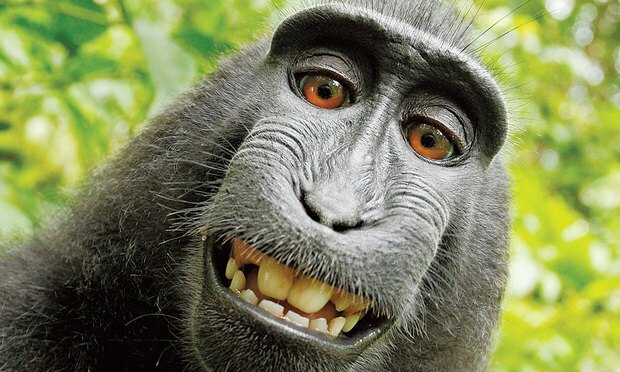 End of the Line for the 'Monkey Selfie' Case? Self-portrait of a female Celebes crested macaque (Macaca nigra) in North Sulawesi, Indonesia, who had picked up photographer David Slater’s camera and photographed herself with it. Persuading a panel of appellate judges that a monkey can hold a copyright is a tough sell.